Connecticut's NAACP is demanding the New Britain Police Department stop using tasers after officers tasered a man during a police standoff on Monday night. The man died soon after. Civil rights groups said police need to change their tactics. “They killed my friend and that’s the way I’m sticking to it,” said Mike Wheaton. Wheaton blames New Britain Police for the death of his best friend, Seth Victor, a 40-year-old man who was tasered during a tense standoff with officers on Monday night, and died hours later. “I would like to see the officers who were involved fired. ... Who wants them as a police officer?I don’t want them protecting me … no way,” Wheaton said. The SWAT Team was called to Victor’s apartment on Broad Street, when he threw a small piano and other furniture out the window. Then he allegedly threatened to hurt himself and police when they asked him to surrender. “This is not a person who was violent,” Wheaton said, adding that Victor had mental health issues, and did not deserve to be tasered. The NAACP agreed, and on Wednesday night, leaders showed up to the New Britain Police Department, and begged the police chief and the mayor to get rid of these weapons. “This is a civil rights issue, it's a human rights issue,” said Scott Esdaile, the Connecticut NAACP President. The cause of Victor’s death is still under investigation and it was unclear if the taser led to it. The NAACP said 12 others died across the state since 2005, after they were tasered by police. 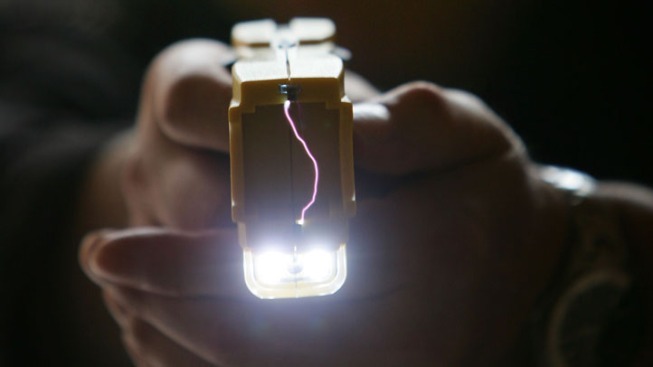 While authorities said tasers were not responsible on those cases, the NAACP disagreed. “The common denominator is people are being tased ... people are dying,” Scott Esdaile added. The New Britain police chief would not comment on the incident from Monday night, which was still under investigation. He did tell NBC Connecticut he was reviewing the department’s taser policy. The Connecticut Police Chief’s Association maintained the tasers were perfectly safe for officers to use, and said the NAACP had taken matters too far. “To paint a broad picture … to say they should be eliminated outright is a mistake,” Fairfield Police Chief Gary Macnamara said. The New Britain Police Chief said he has no plans to get rid of the tasers.